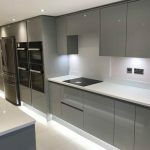 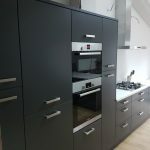 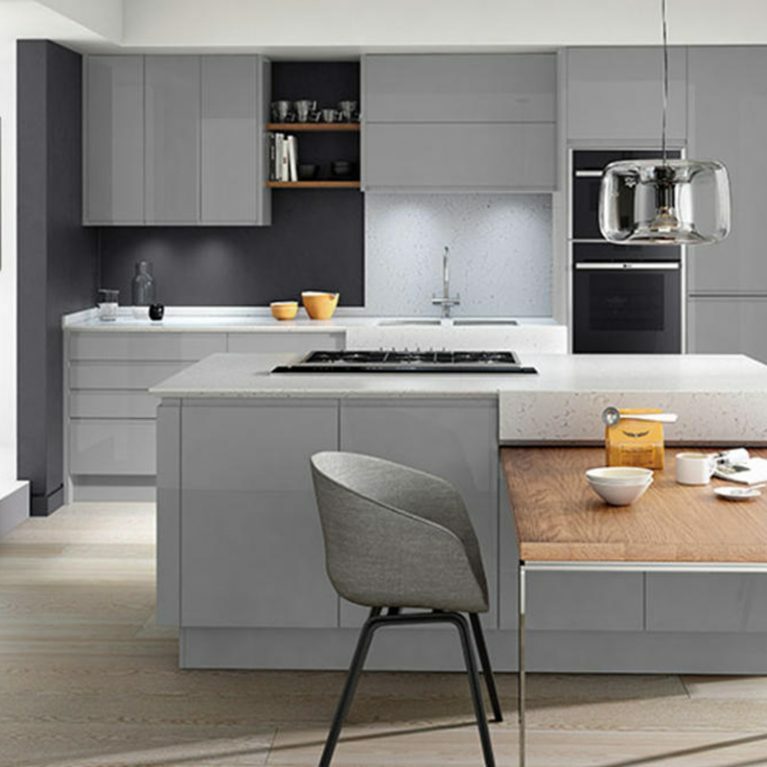 Grey is becoming an increasingly popular colour palette for contemporary kitchens thanks to its gorgeous finish, versatility and striking appearance. 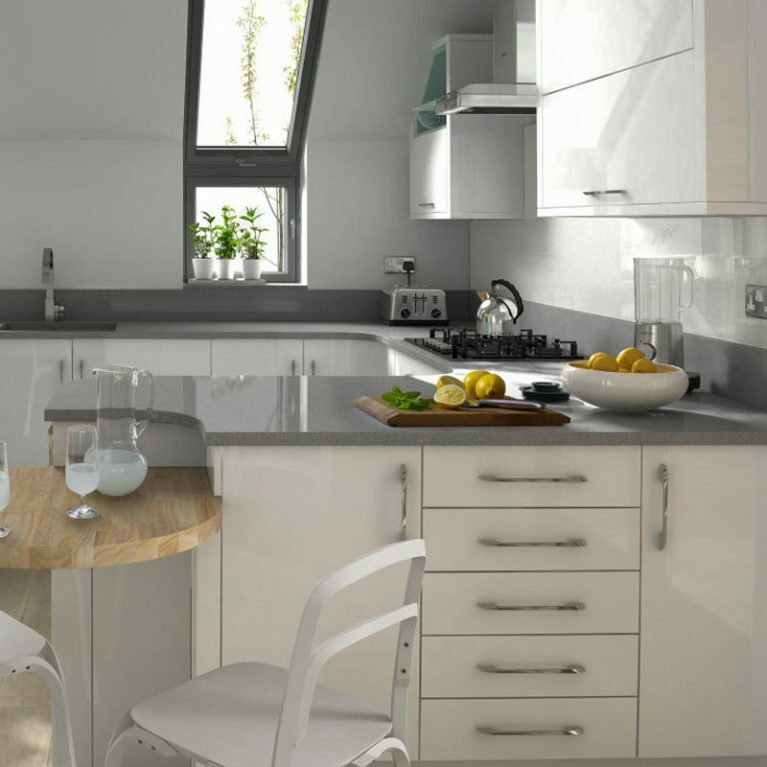 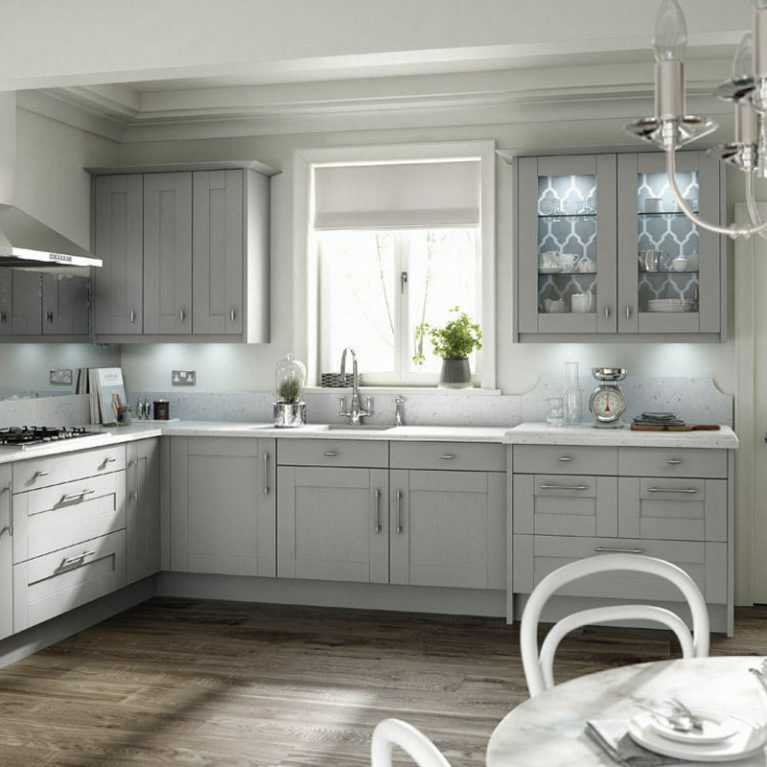 That’s why the Porter Dove Grey is one of Number One Kitchens’ most popular gloss finish kitchen designs. 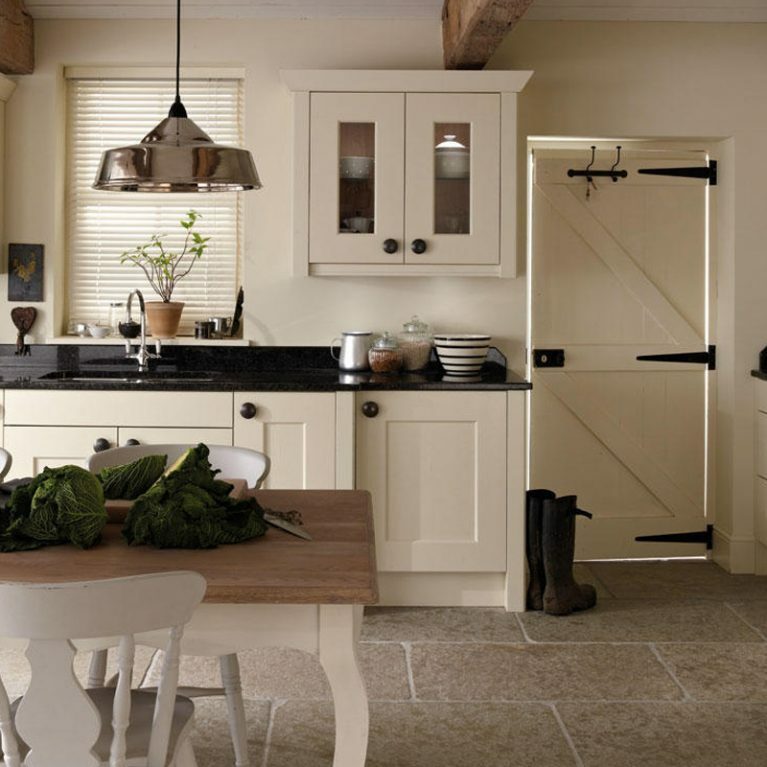 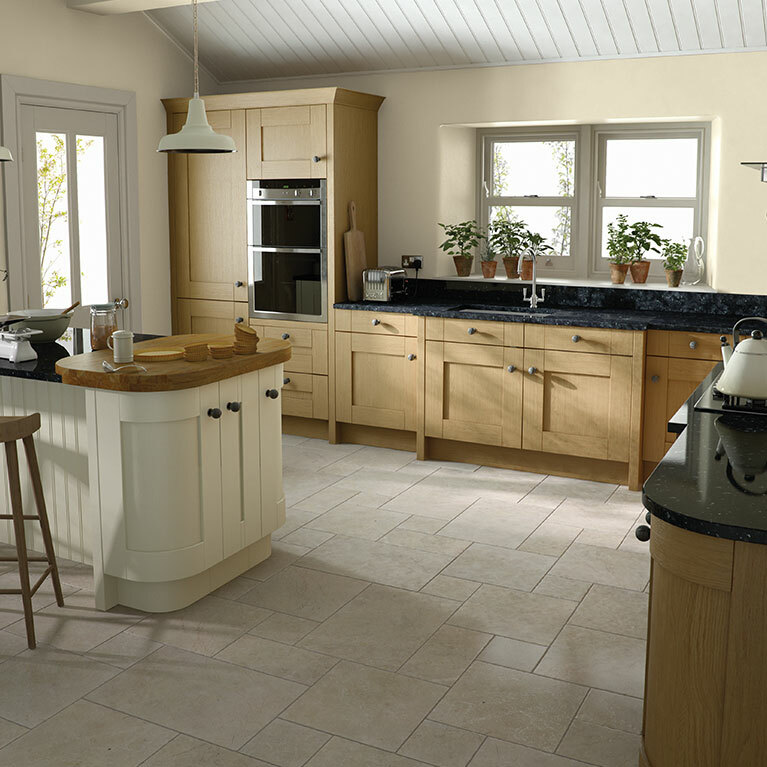 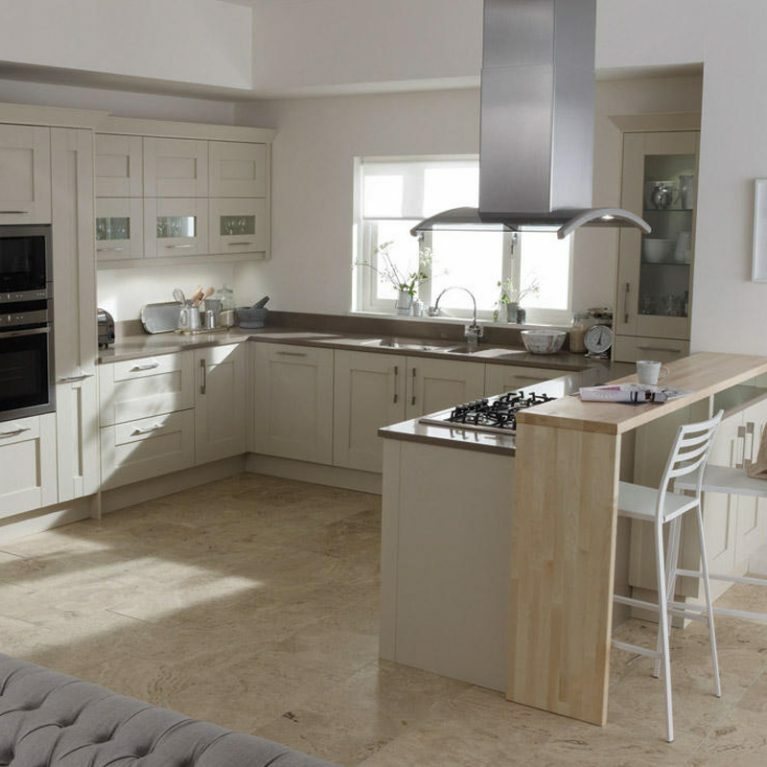 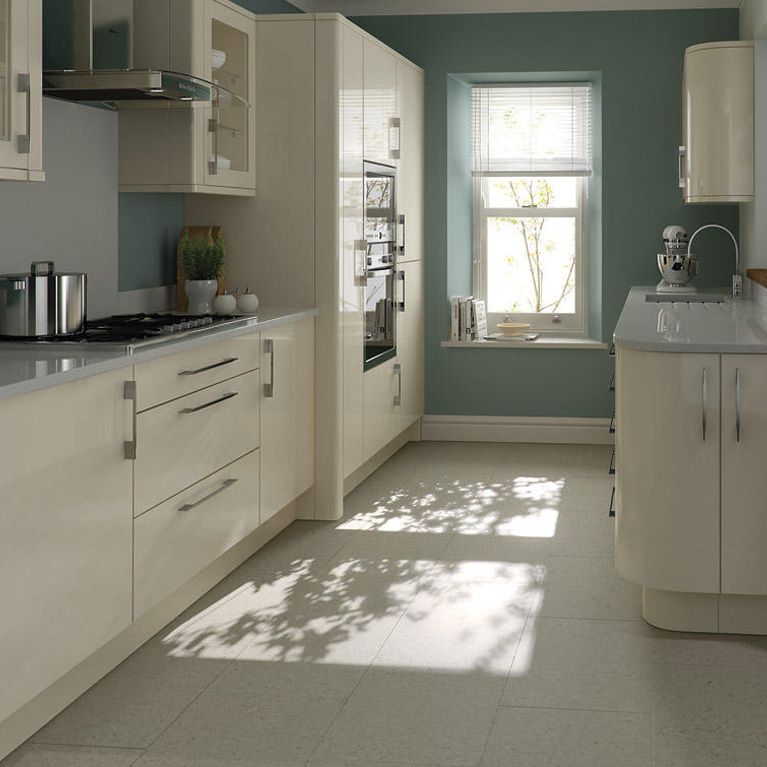 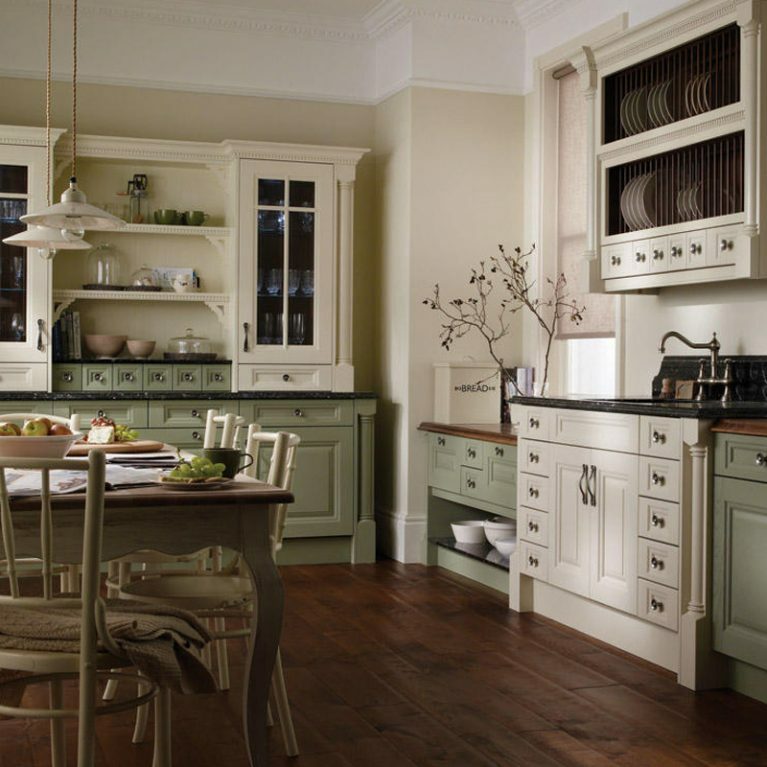 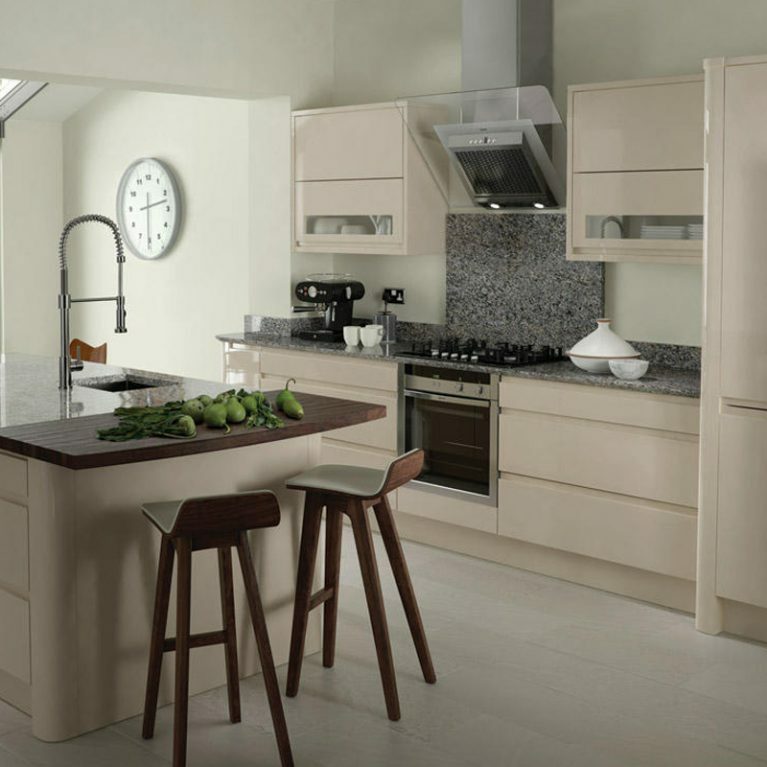 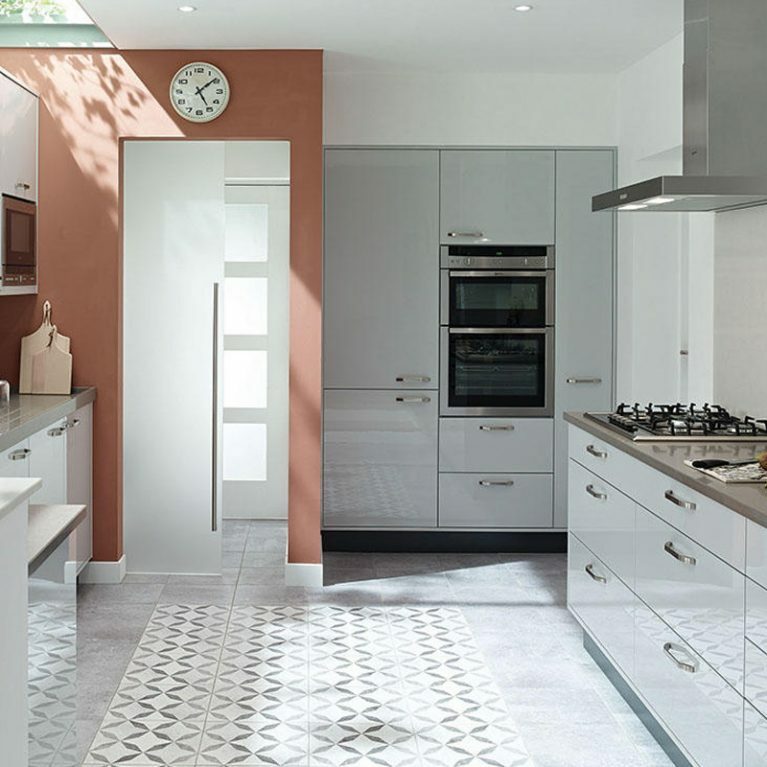 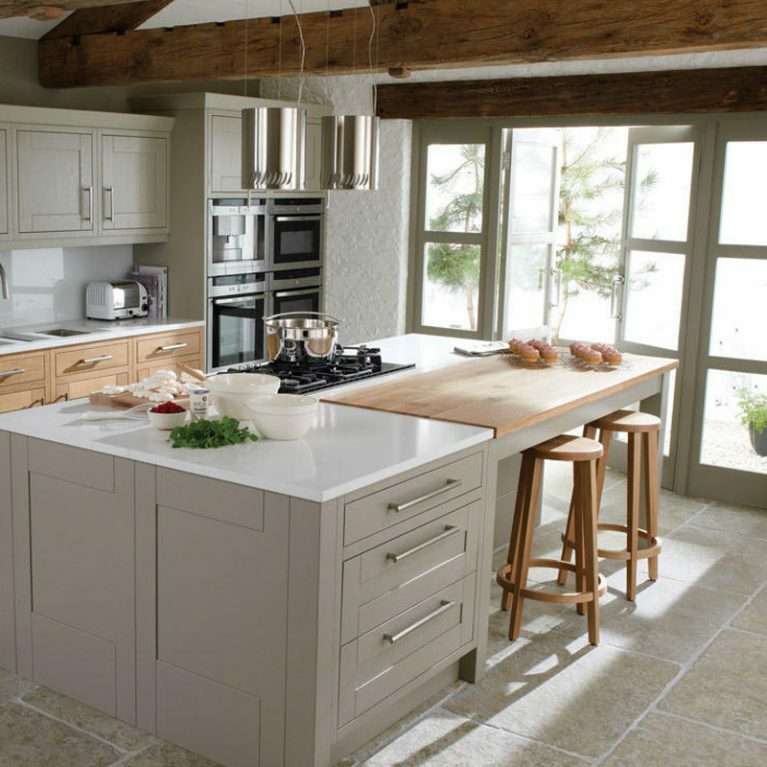 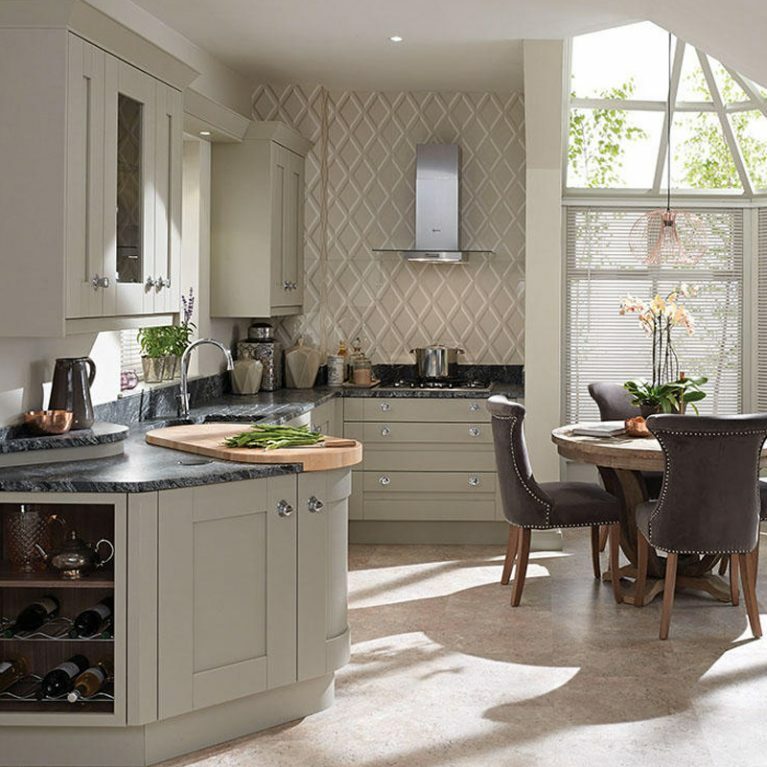 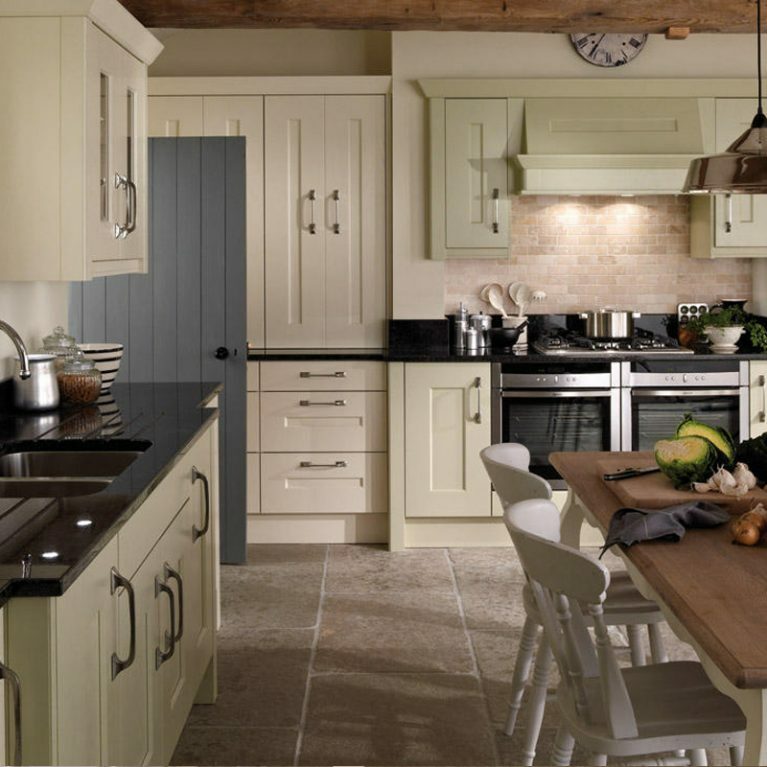 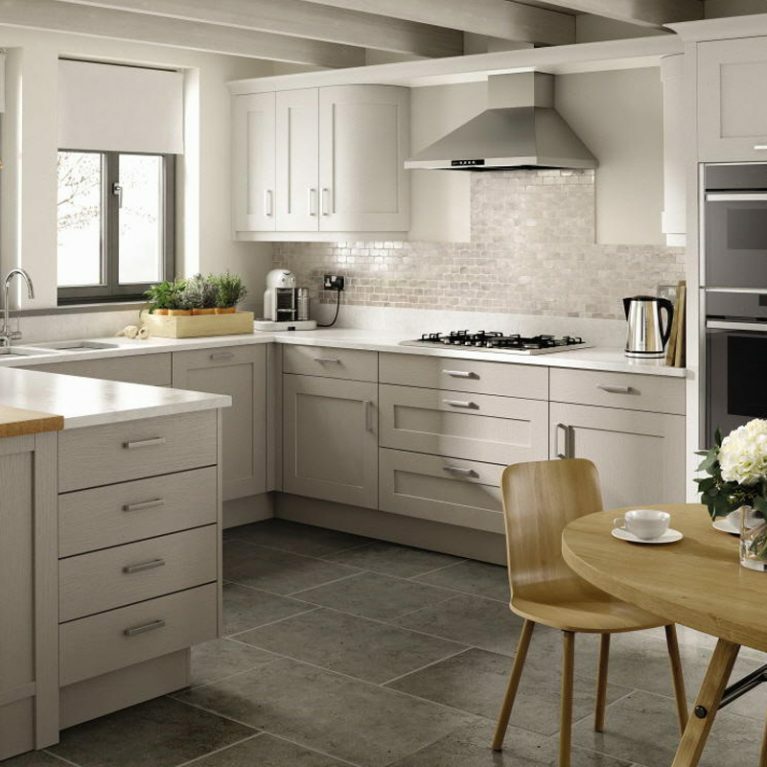 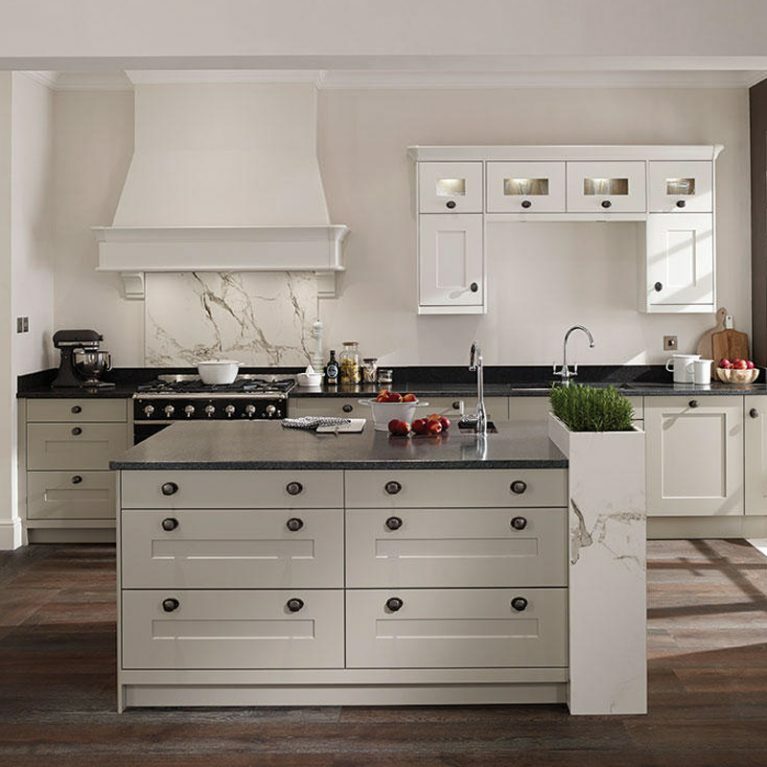 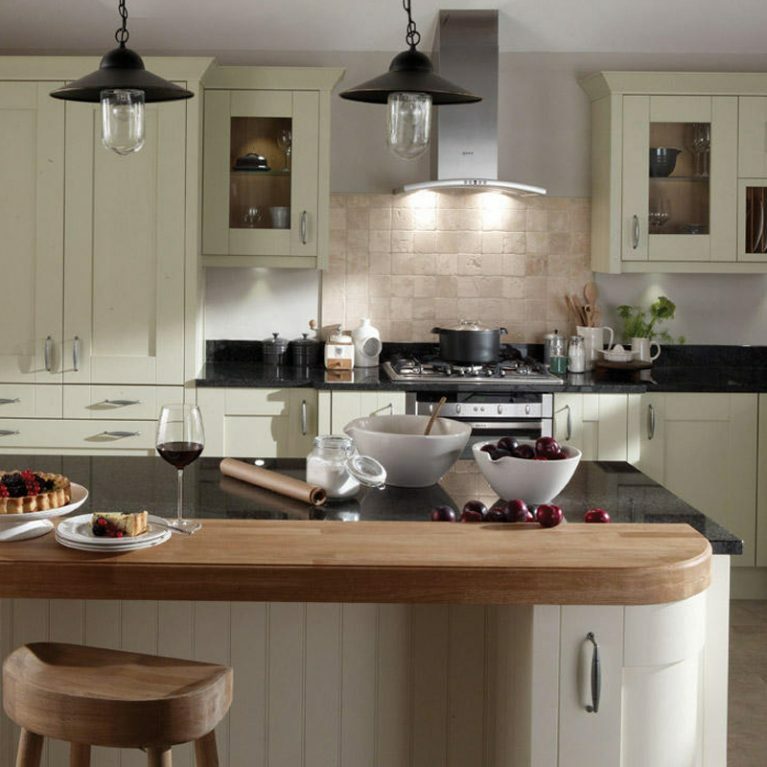 The gorgeous light neutral dove grey creates the perfect foundation for building your dream kitchen. 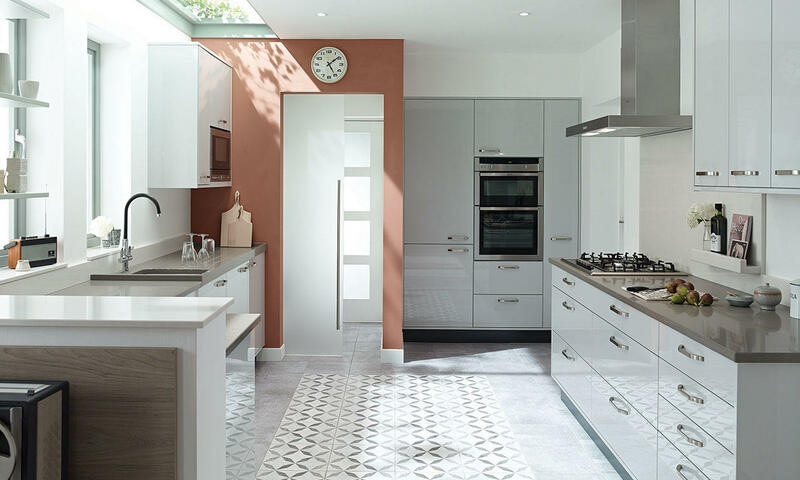 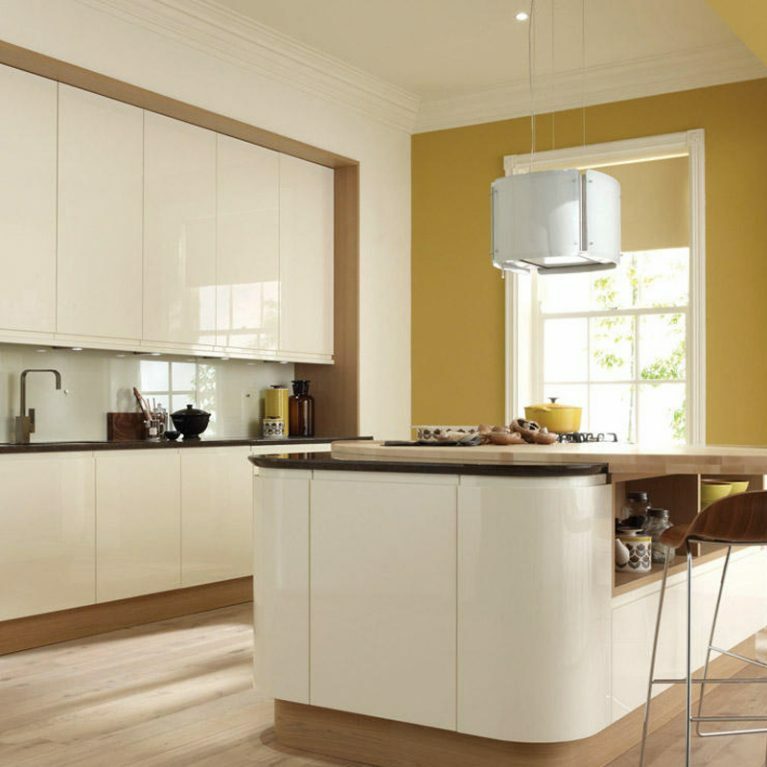 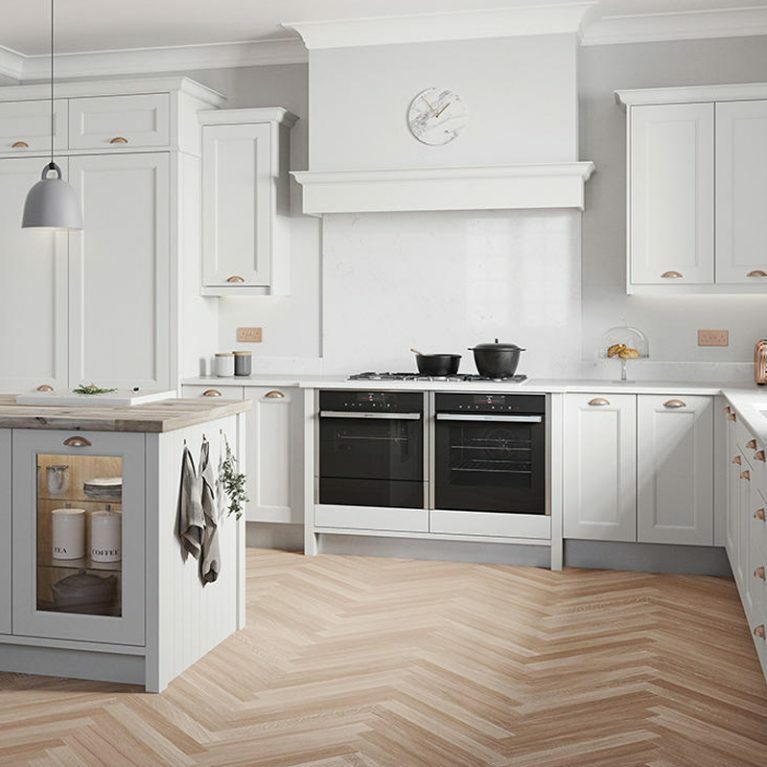 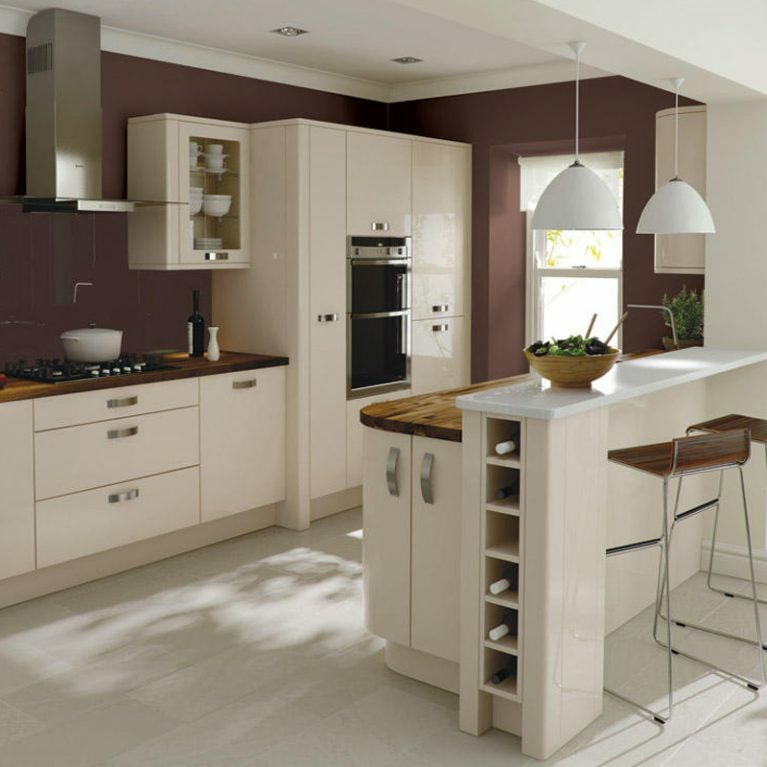 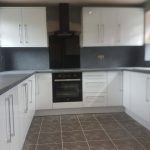 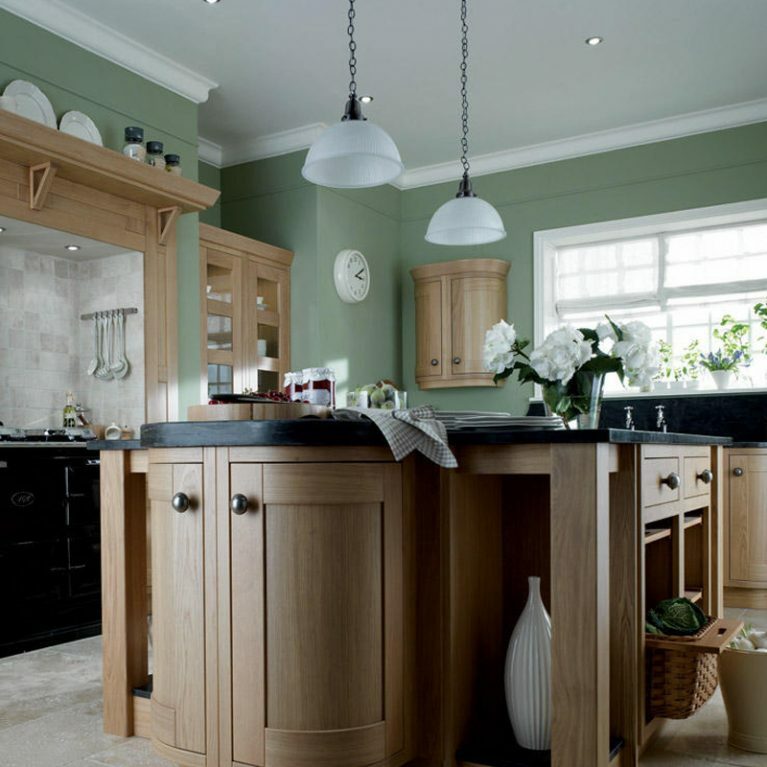 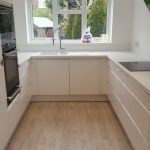 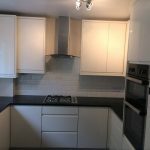 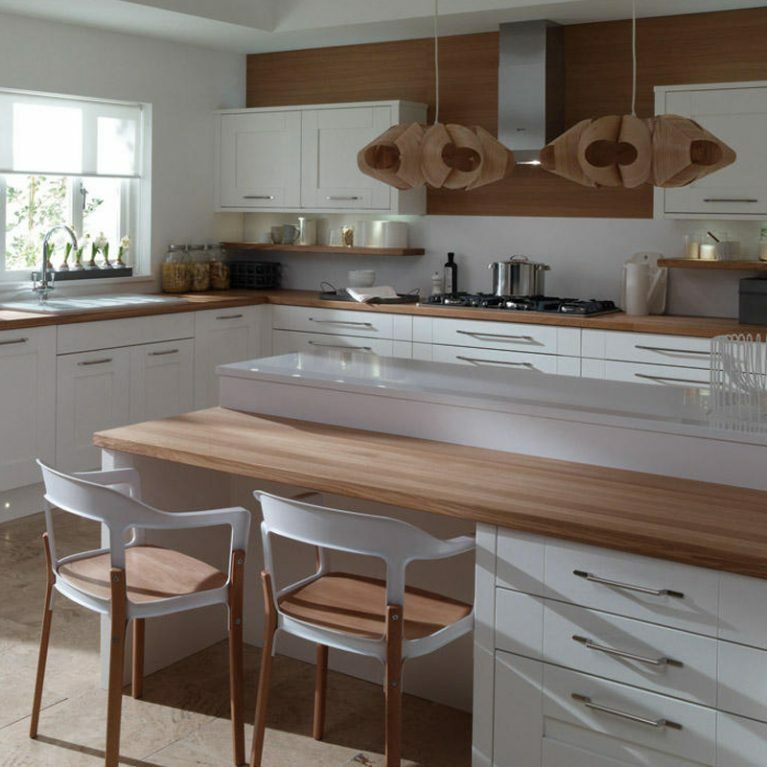 Not only does it lend itself seamlessly to almost any colour scheme you might have in mind, but it’s a more modern twist on classic neutral shades like cream and white.You can mix up the design and implement a strong contrasting colours on the walls or in the flooring to create a kitchen that’s one of a kind. 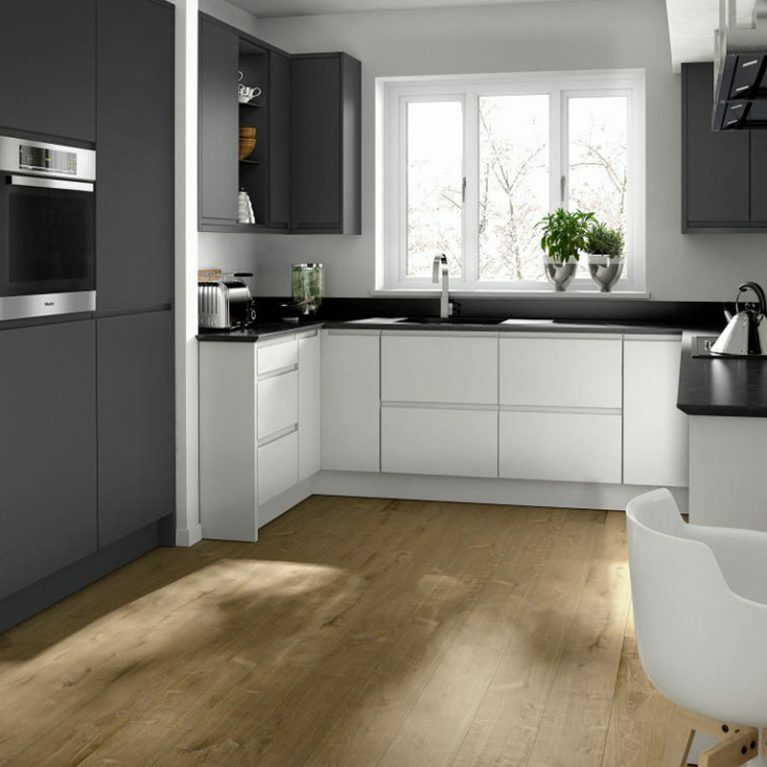 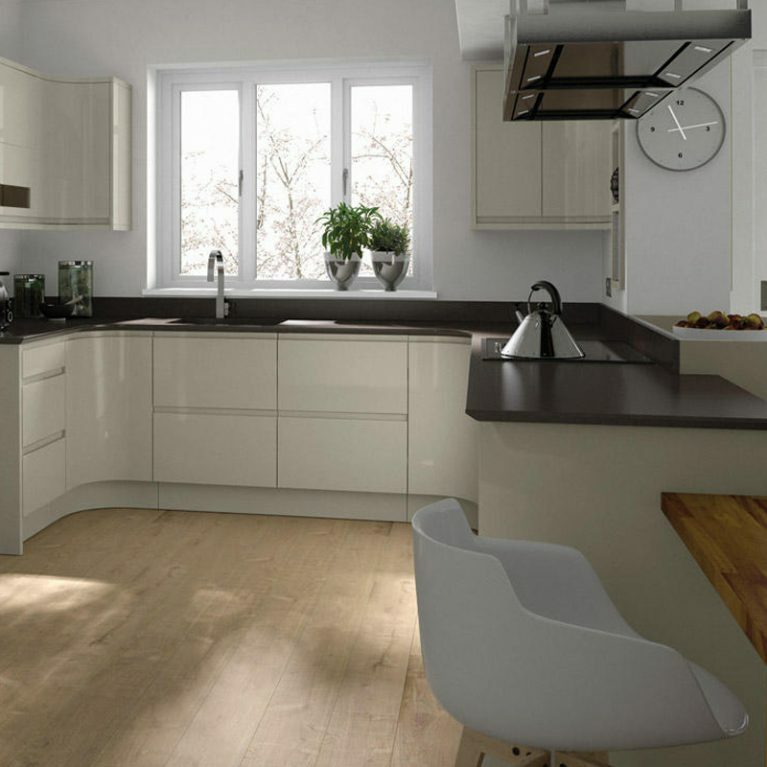 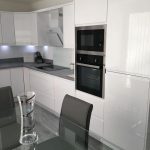 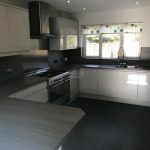 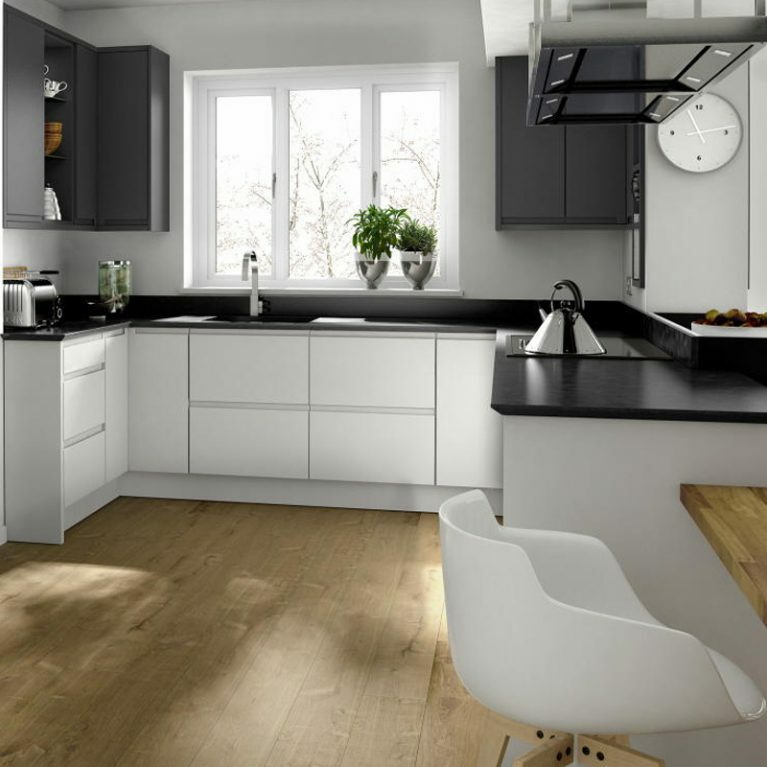 Our Porter contemporary gloss kitchen in grey has a lacquered finish which gives it that gorgeous high-shine appearance, creating lots of light in your kitchen space and adding the appearance of even more space. 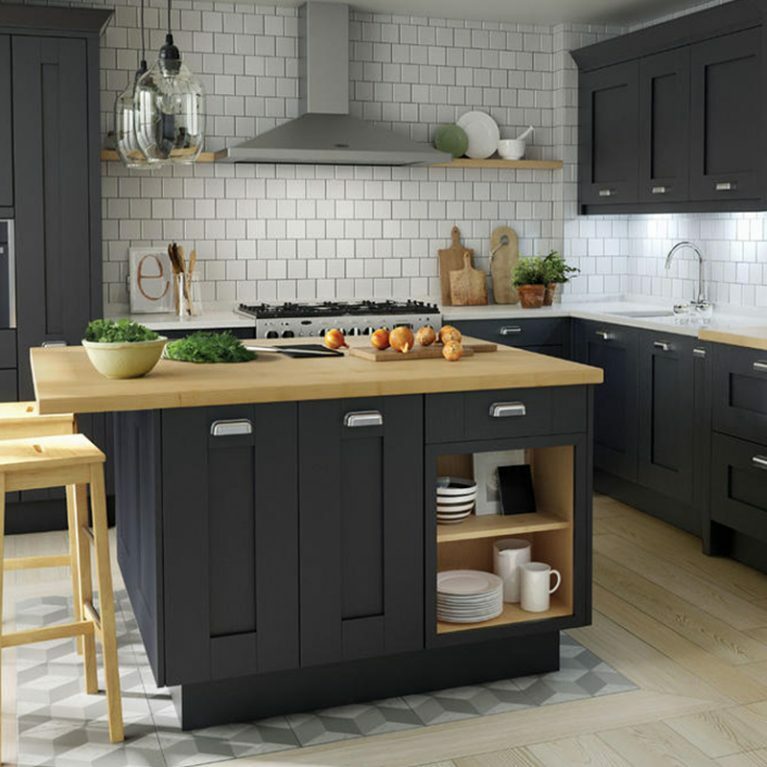 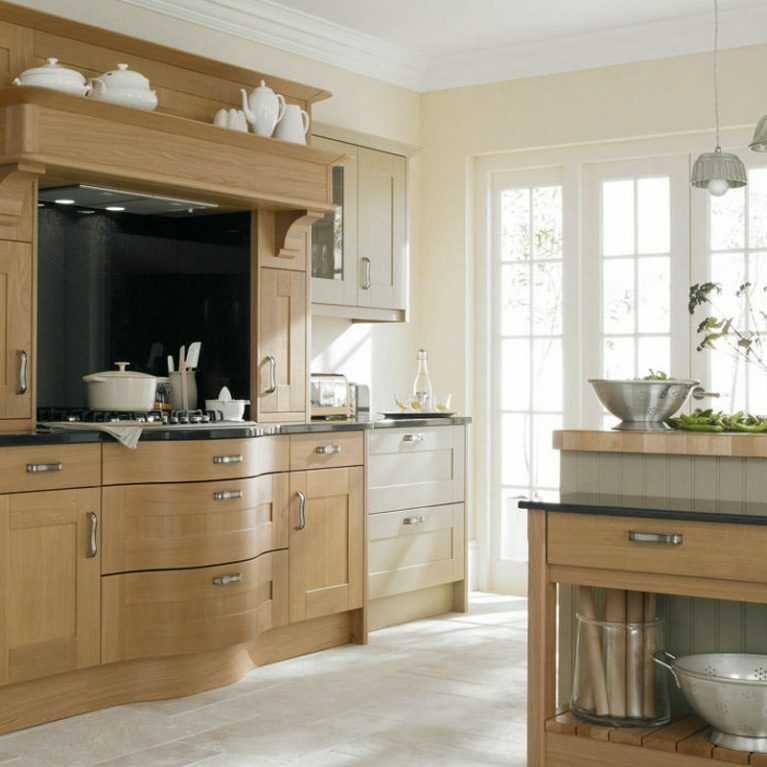 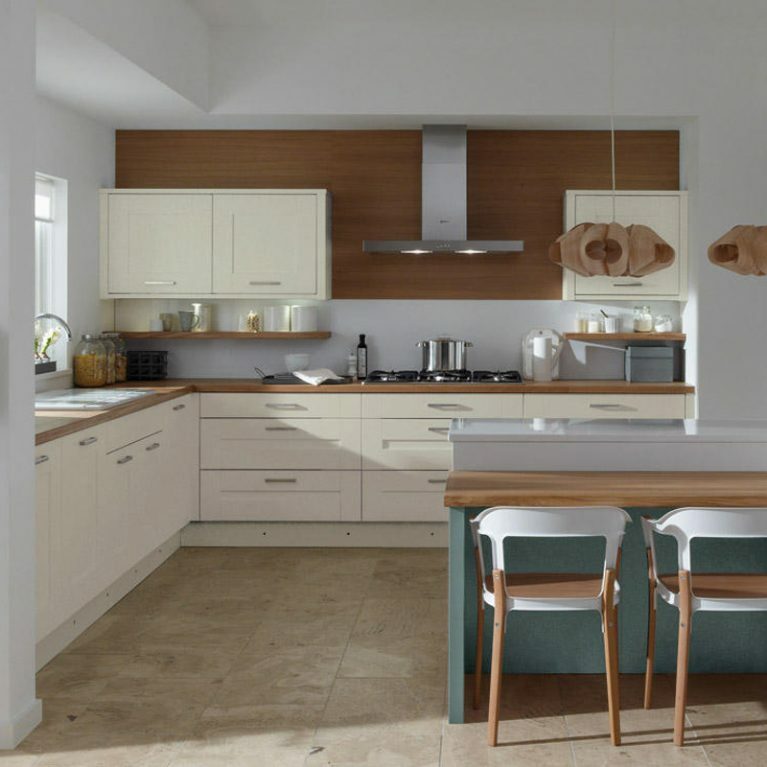 If grey isn’t quite for you, then you’re in luck when shopping for your kitchen design with Number One Kitchens. 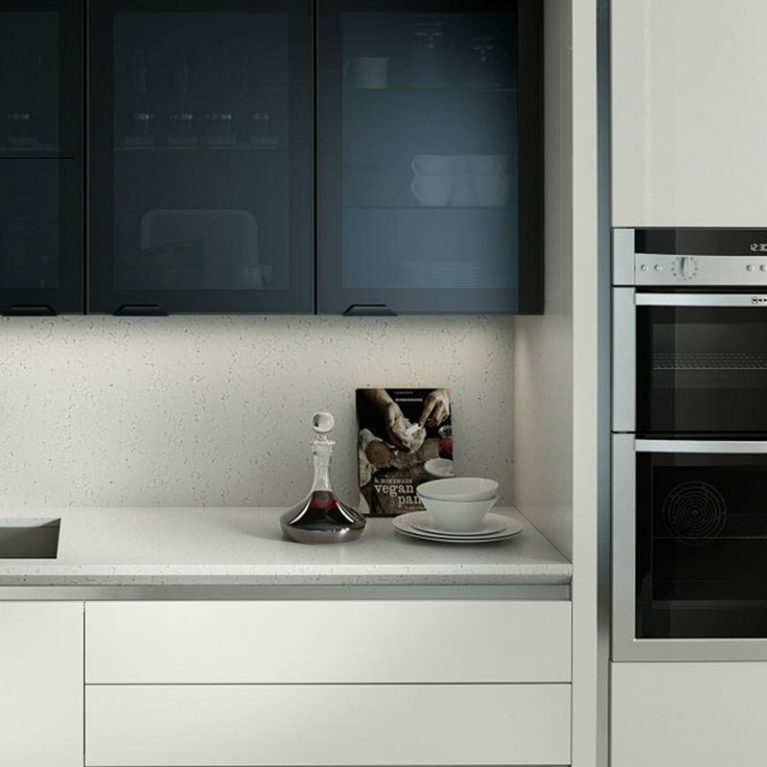 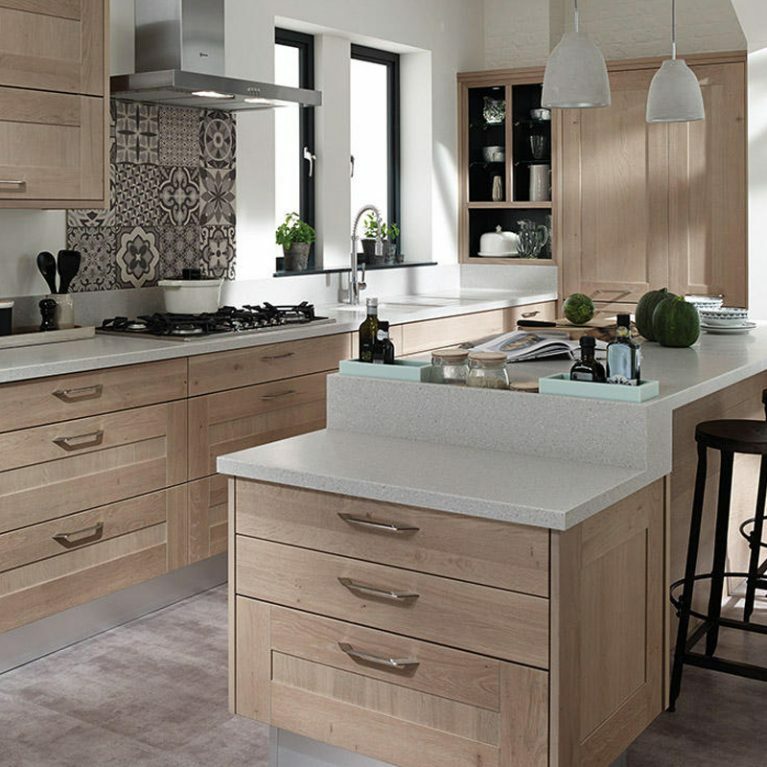 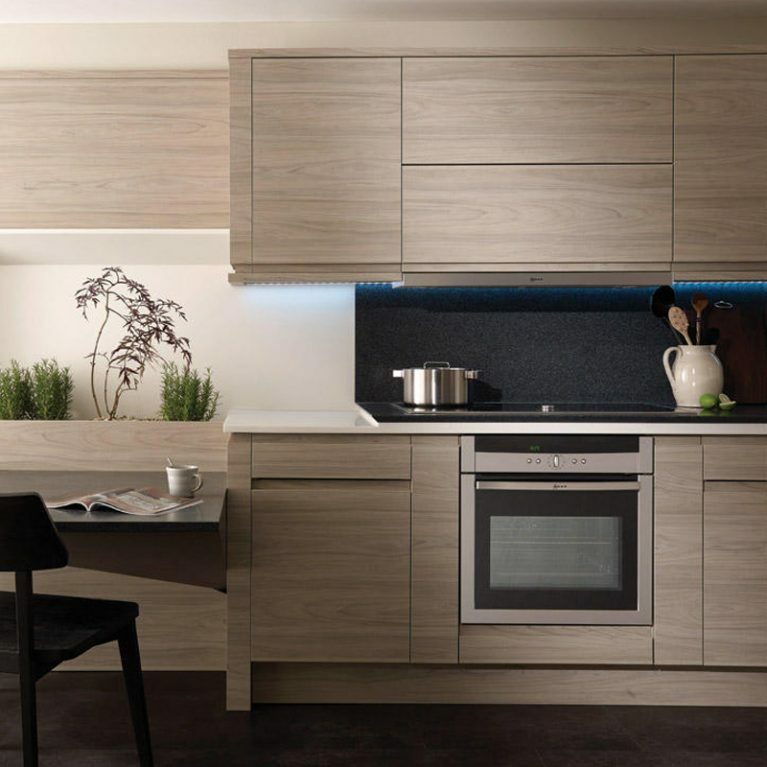 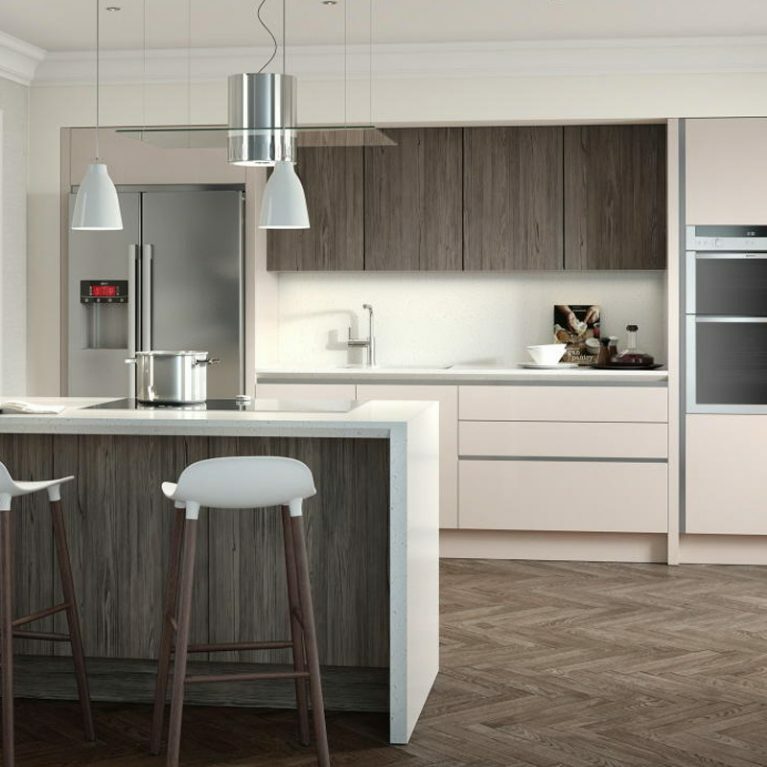 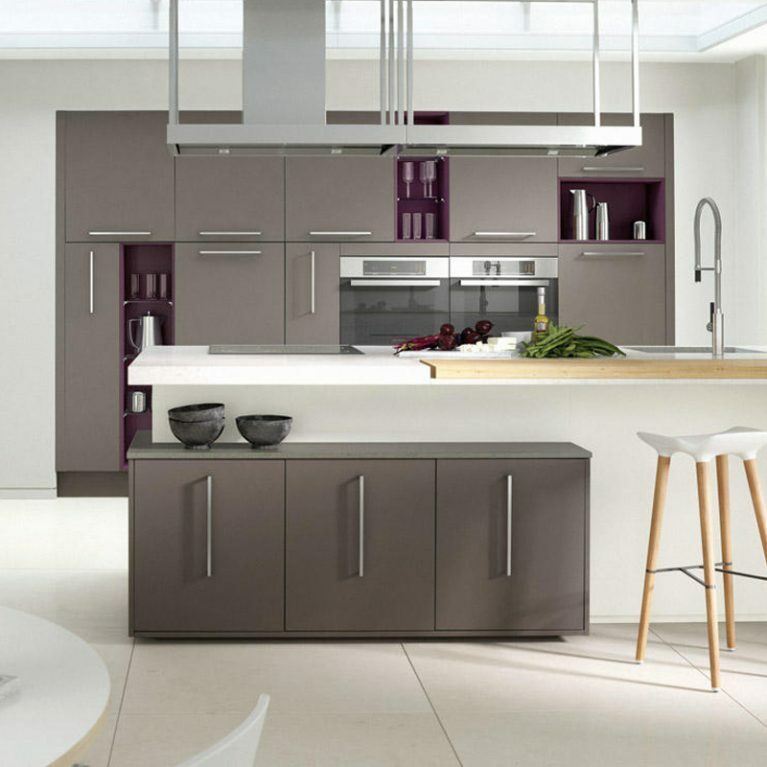 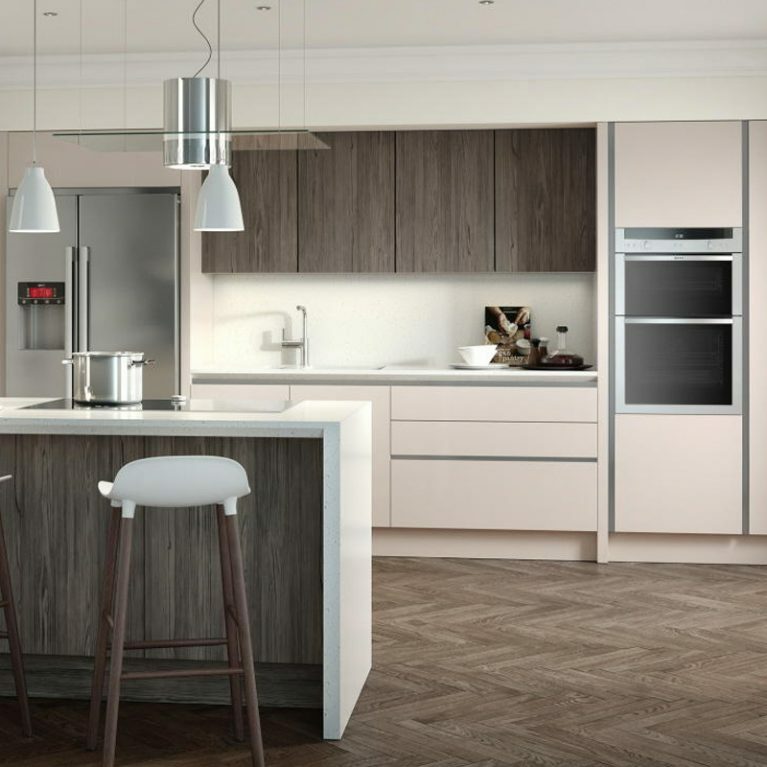 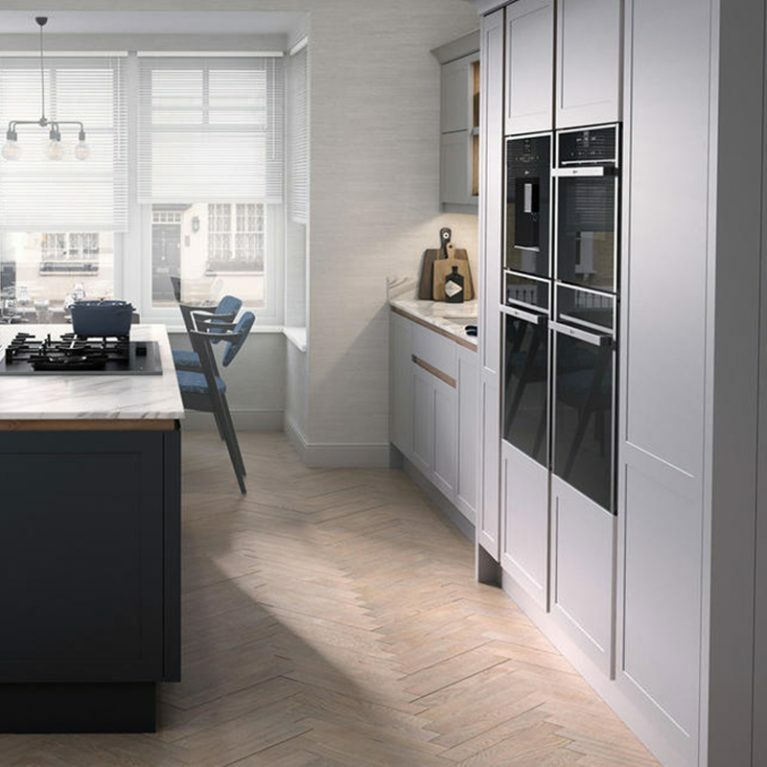 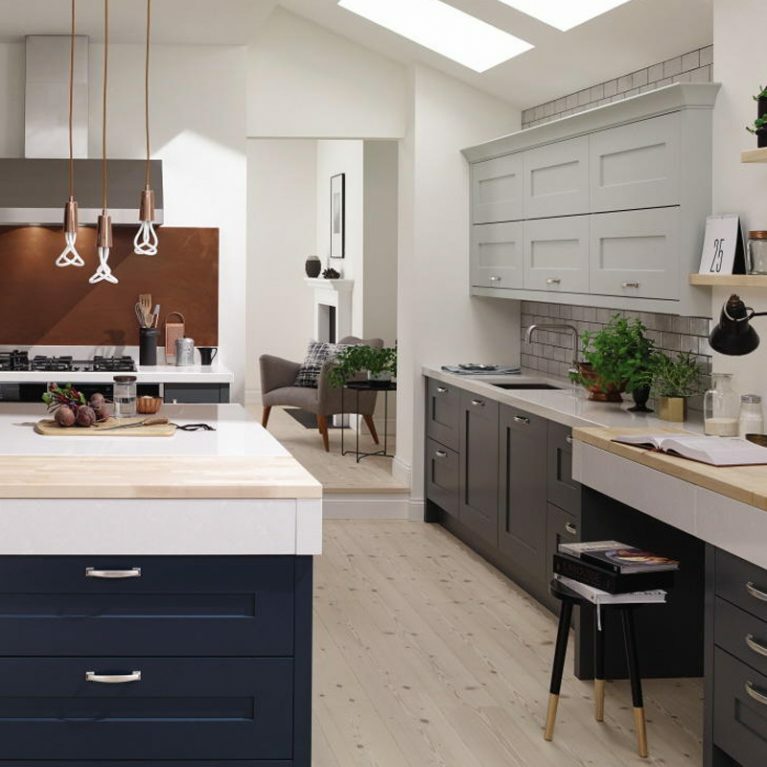 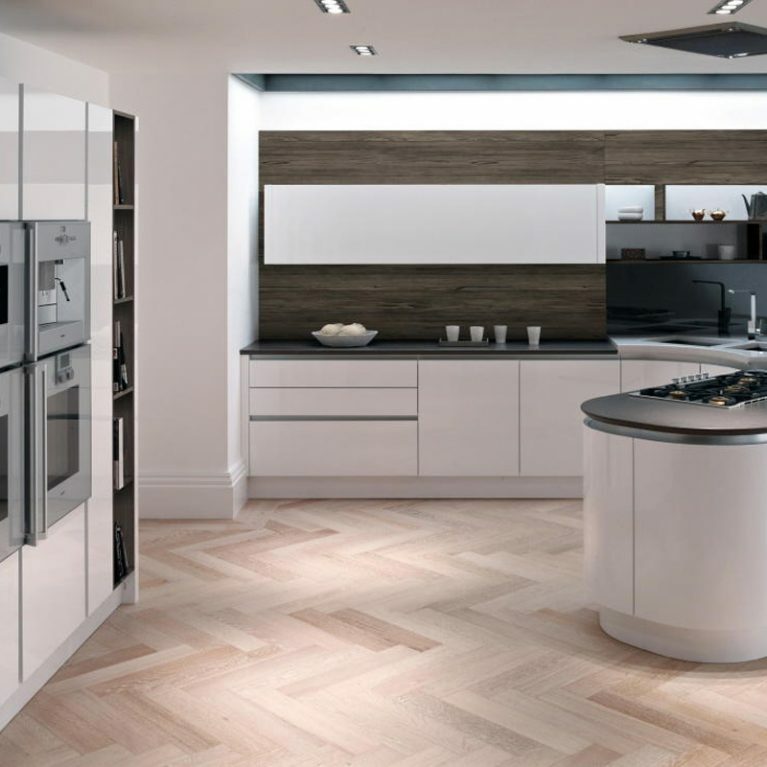 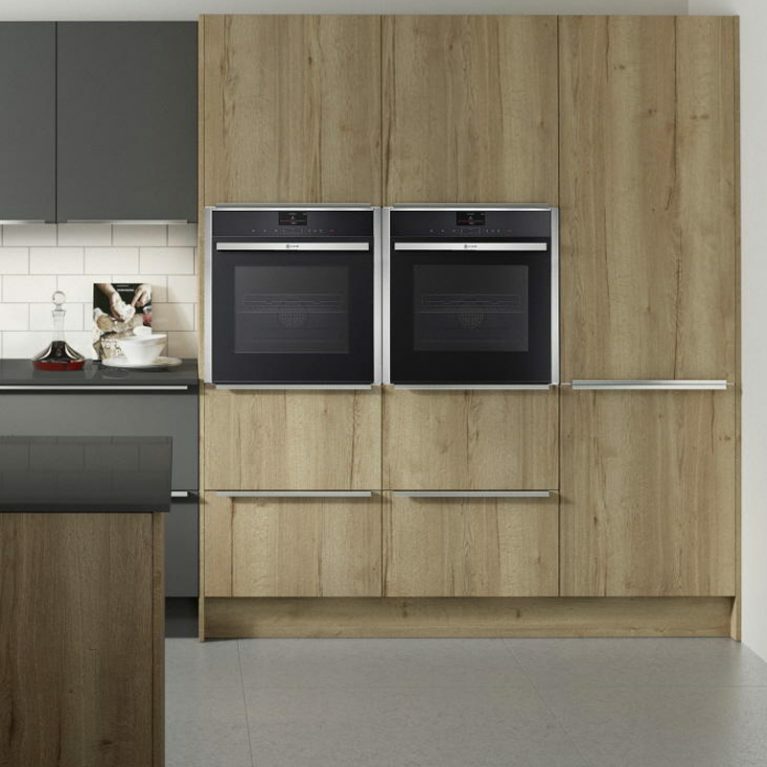 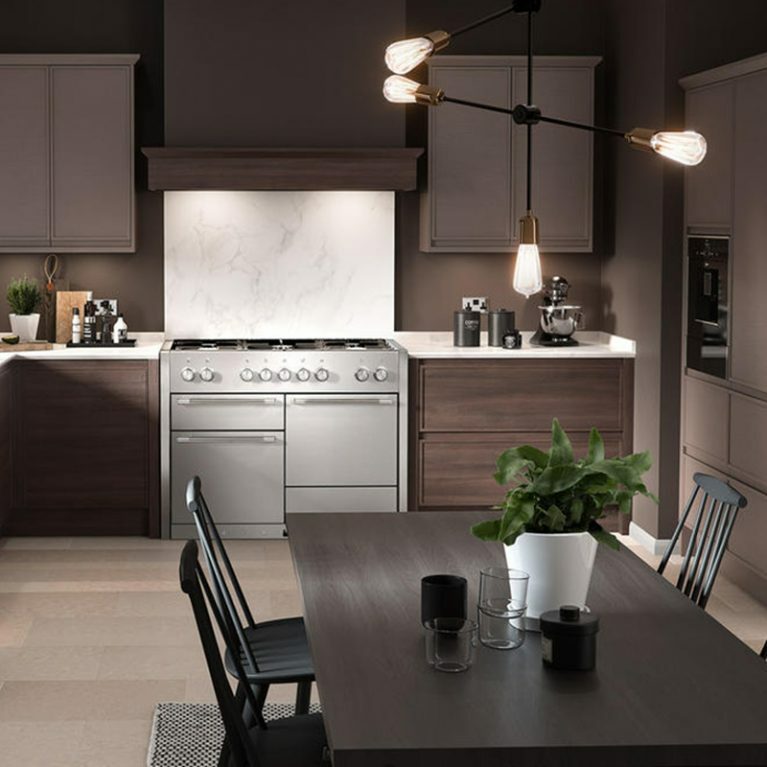 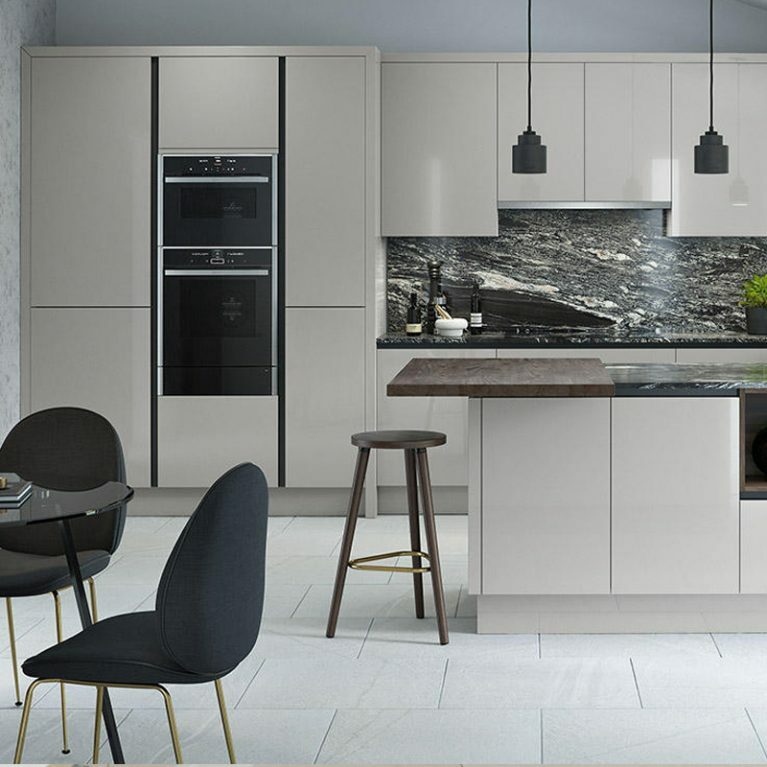 The Porter contemporary gloss kitchen in grey is undeniably beautiful, but you can also choose from a selection of 27 different colours in a matte or gloss finish, crafting the perfect kitchen to meet your needs. 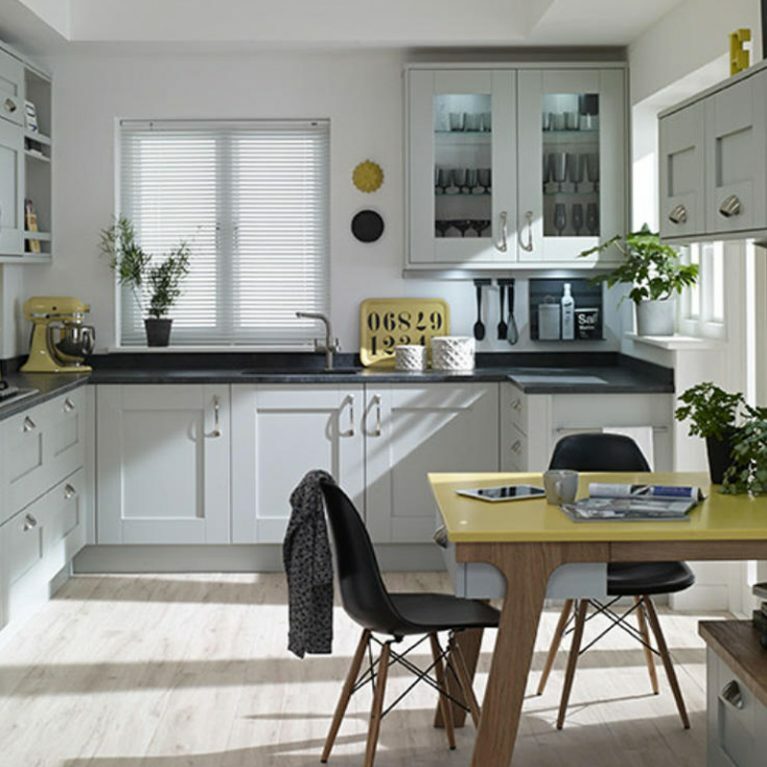 One thing that’s particularly special about the Porter dove grey kitchen is the ample amount of storage opportunities that you can create within your kitchen space. 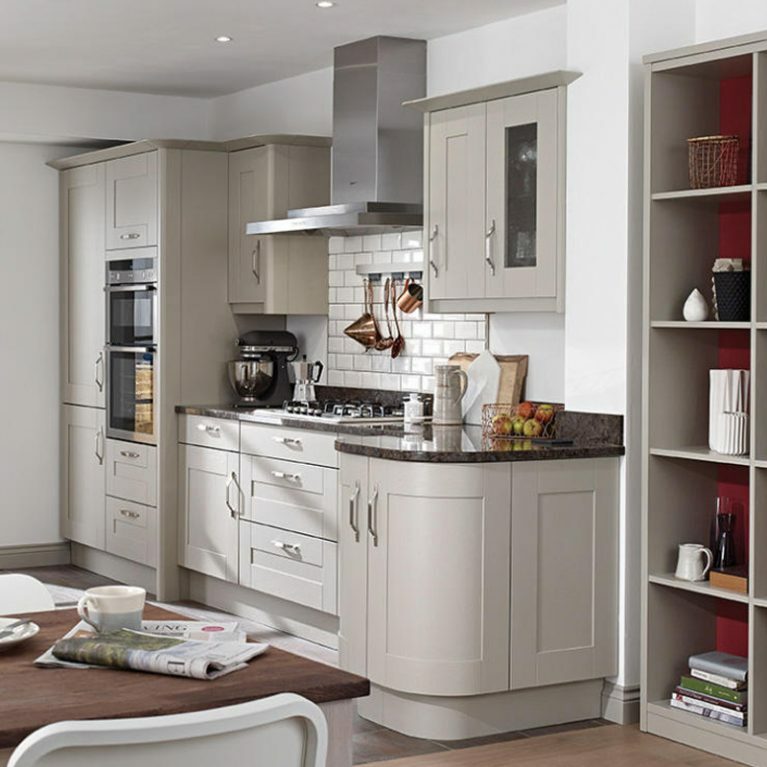 You’ll find endless cupboards and drawers available, ensuring that all of your kitchen accessories have a home to go to, keeping your kitchen clean. 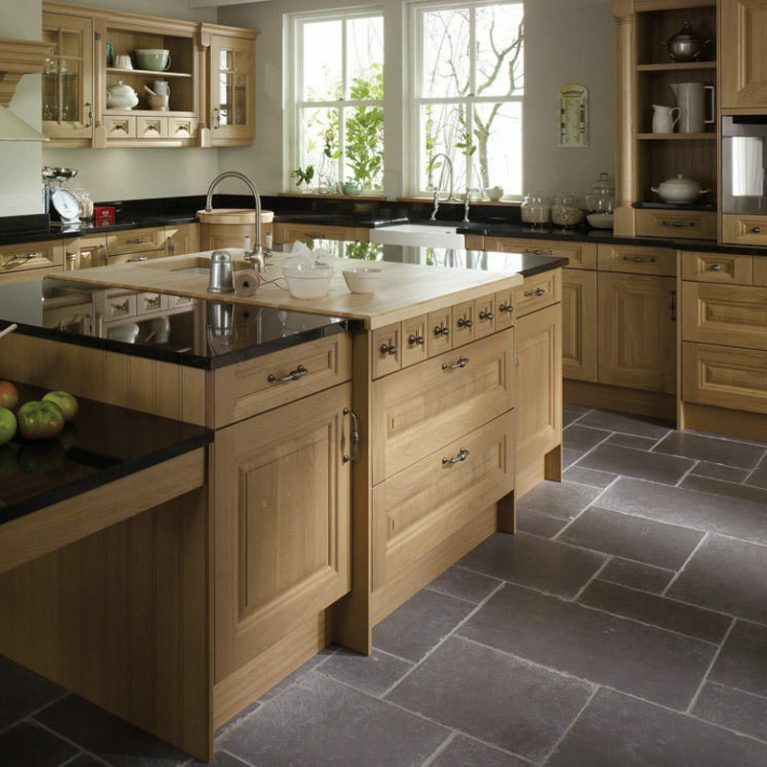 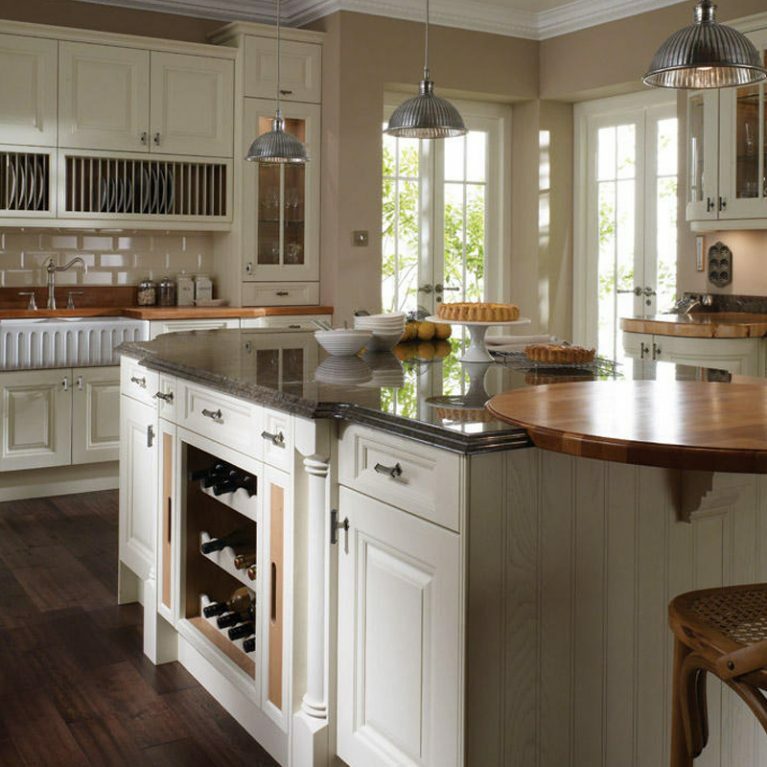 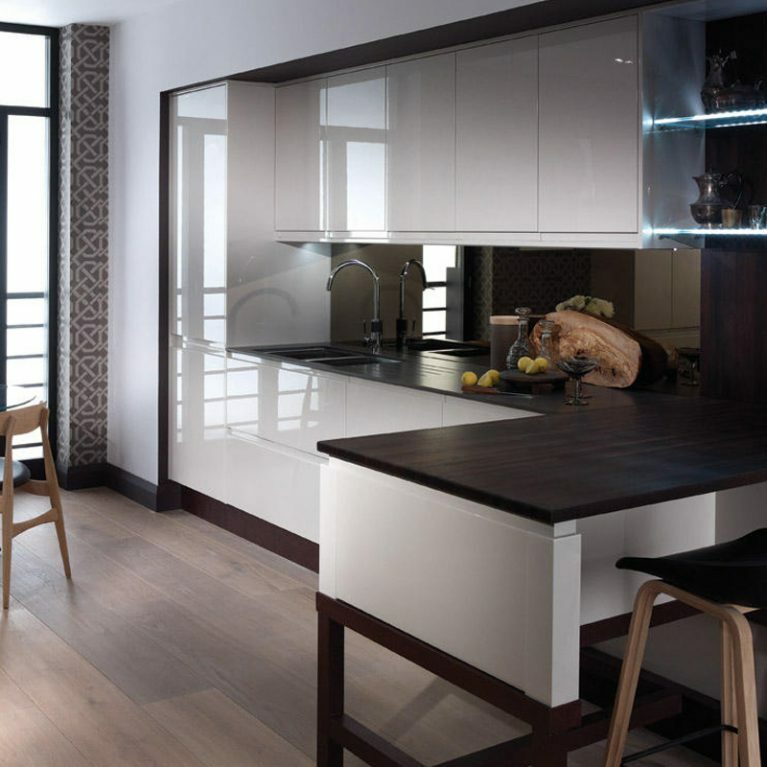 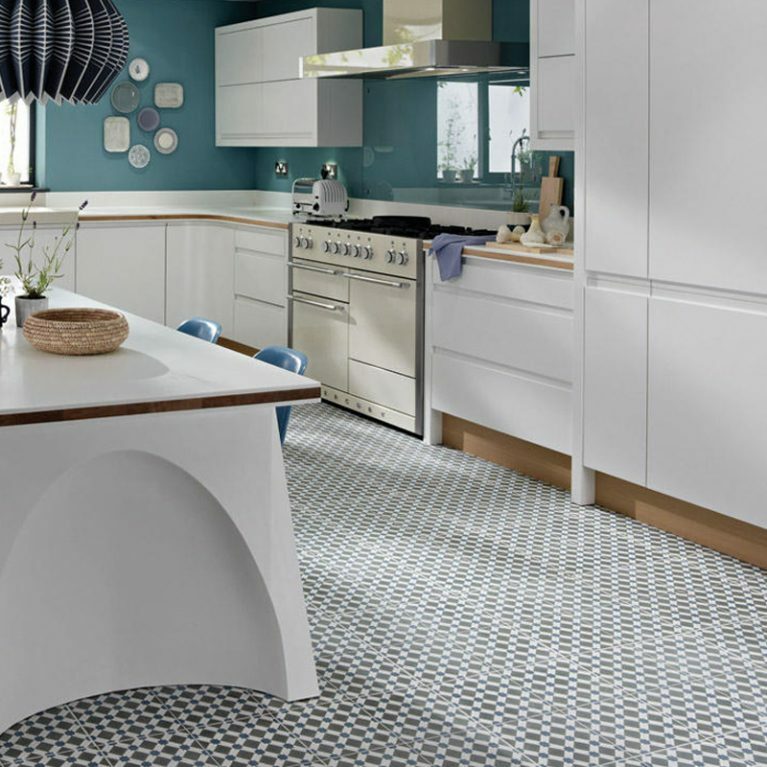 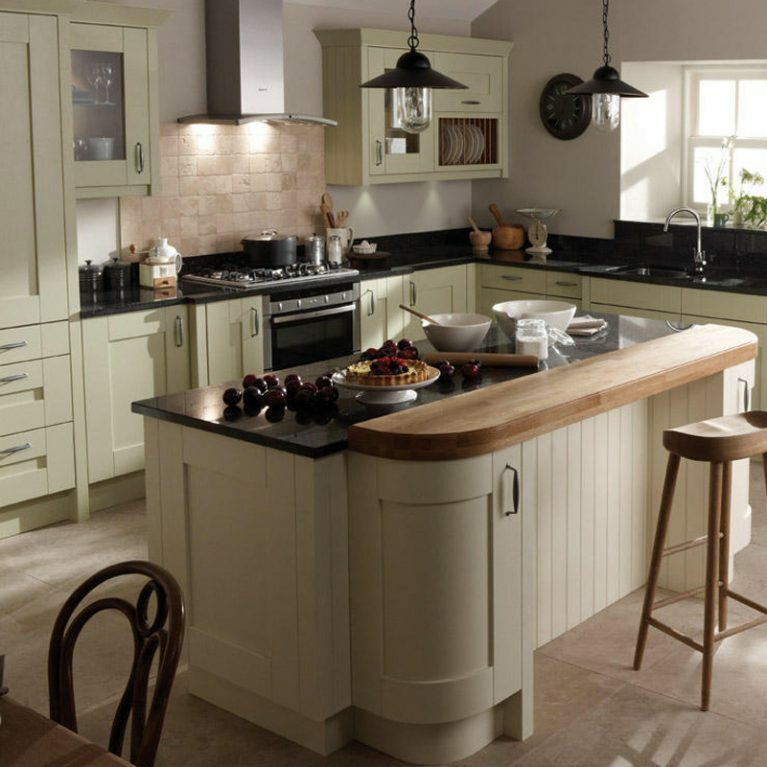 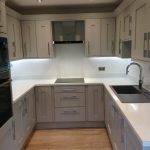 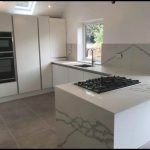 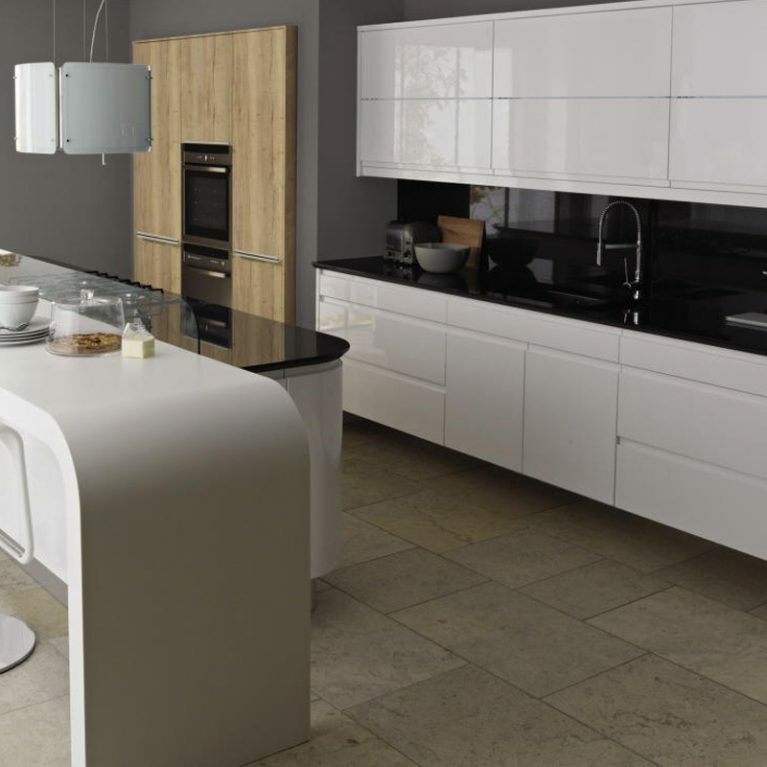 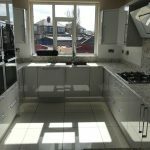 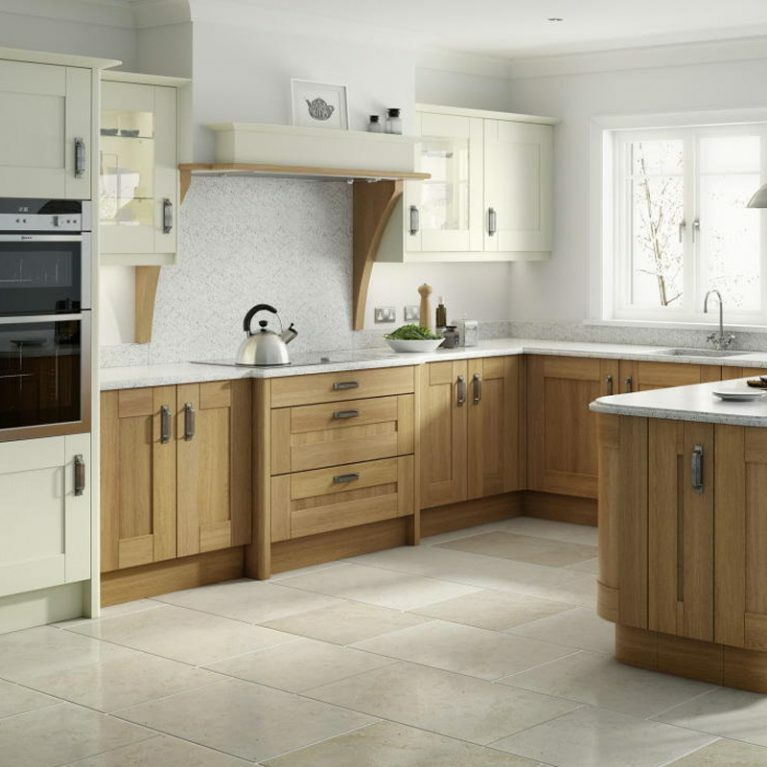 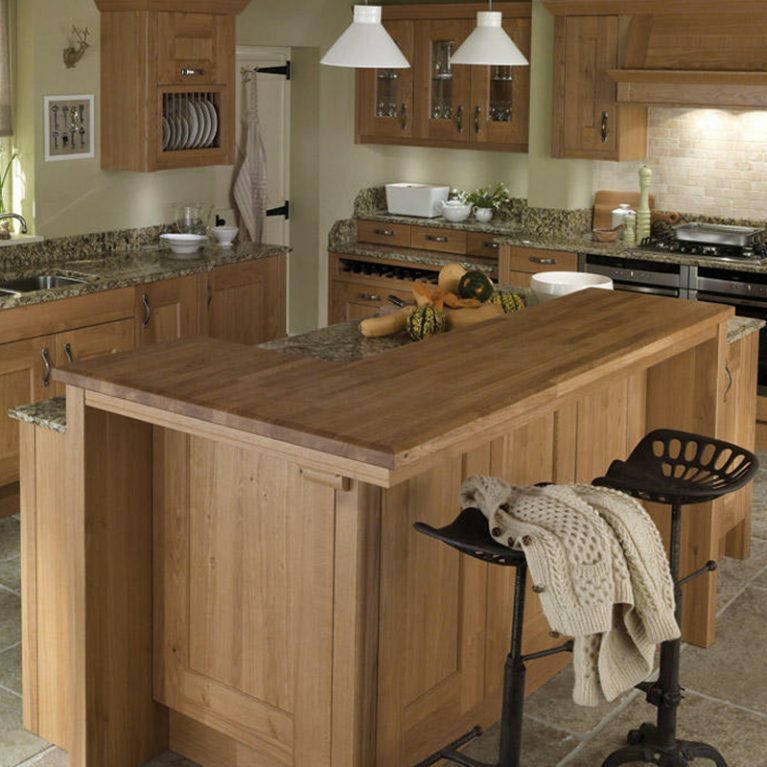 Your worktop creates a wonderful focal point within your kitchen. 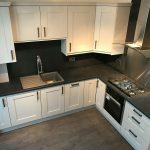 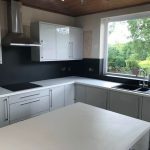 You can choose a gorgeous dark grey shade as we’ve gone for here, or perhaps something a little more neutral for a seamless finish. 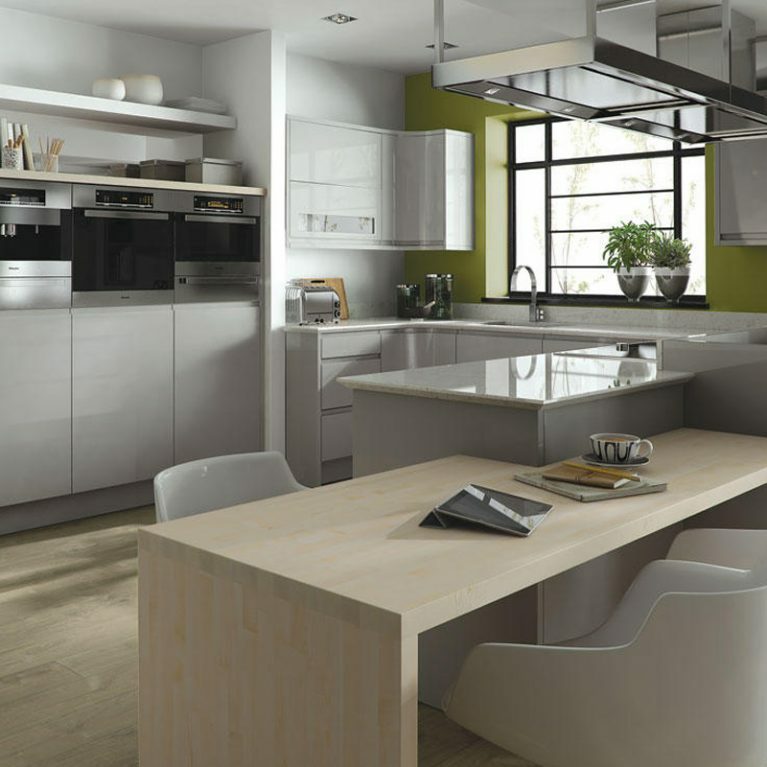 Regardless of your choice, you’ll find plenty of surface space for food preparation and entertaining.